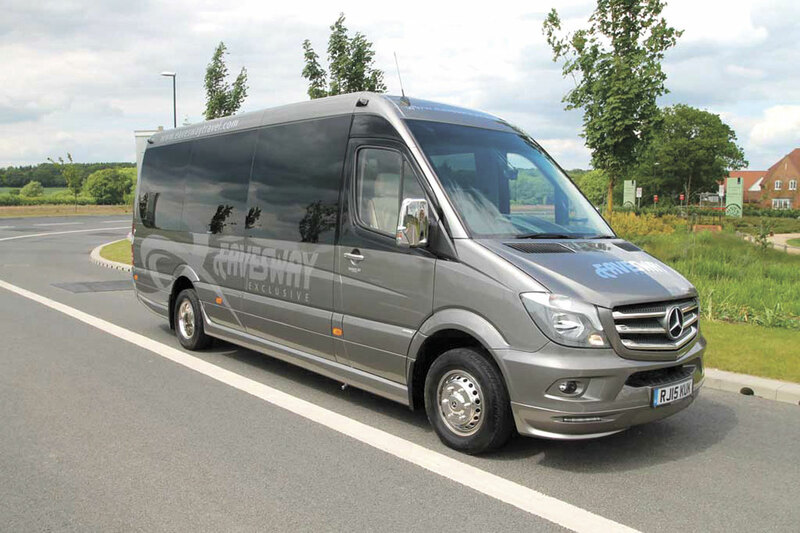 Eavesway Travel has taken delivery of an EVM X-Clusive VIP Sprinter 519Cdi, powered by the Mercedes-Benz Euro6 191bhp common rail direct injection diesel engine married to a seven-speed G-Tronic gearbox. 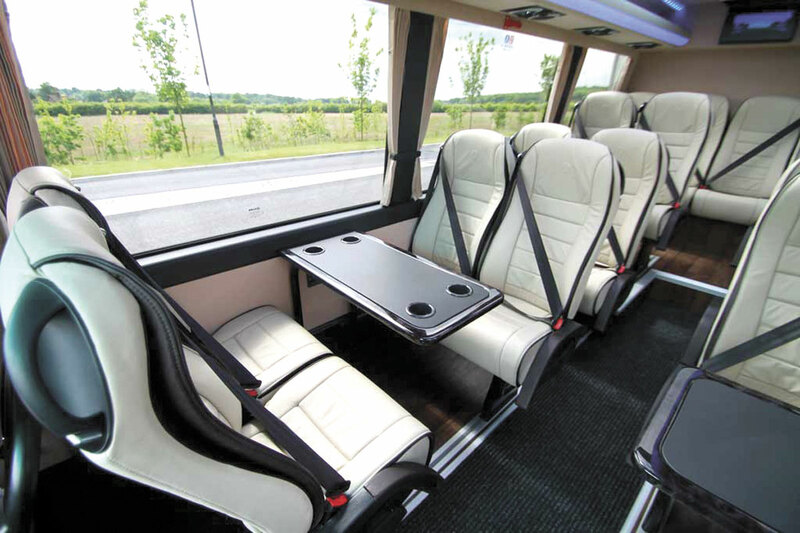 It features the new EVM plug type passenger electric entry door, 16 Executive 110 seats, a coach back boot, an Eberspacher saloon air conditioning system, two 17inch monitors, a Parrot Asteroid Smart Media Centre with 6.2inch touch screen display and a reversing camera. EVM’s Sales office in Horsham, West Sussex supplied the minicoach.